There are 3 videos in this series and they have statements by 150 academics and scientists and I hope to respond to all of them. Saul Perlmutter is a Nobel Laureate and a Astrophysicist at the University of California, Berkeley and his comments can be found on the 2nd video and the 91st clip in this series. Below the videos you will find his words. Without God in the picture there is no lasting meaning to our lives and no lasting purpose either. Words like HOPE disappear in a purely materialistic point of view such as Saul Perlmutter and his atheist friends believe. The comic Doug Stanhope’s life demonstrates in a logical way the conclusions that atheists should have according their own views concerning the issue of purpose and hope in the world and that conclusion is NIHILISM. I have so much respect for the hard work that goes into stand up comedy because I have a son named Hunter who has been involved with a local comedy club and even presented several full length shows himself. He is always using just original material from his own life and that involves the constant study of life itself. The absurdities inside life are always being carefully examined. Today I am writing because I want to take a close look at the comedy of an atheist comic and breakdown his nihilistic views on life. Since I have lived and worked in Little Rock many years, I used to run into Bill Clinton quite a lot in downtown Little Rock. It was quite remarkable to me when he chose to emphasize that the small town of Hope was his home town even though he had only lived there 3 or 4 years. Of course, he did so because of the power of the word “HOPE.” I wanted to talk to you about three men and the subject of nihilism: Comedian DOUG STANHOPE, Bass player DAVE HOPE of the 1970’s rock band Kansas and King Solomon of Israel who wrote Richard Dawkins’ favorite book of the Bible which is Ecclesiastes. There is a thread of nihilism that can be compared in these three men’s stories, and nihilism is the opposite of HOPE. Obviously the atheist comedian DOUG STANHOPE has already arrived at the nihilistic conclusion that many other atheists have reached in the past. In the Book of Ecclesiastes what are all of the 6 “L” words that Solomon looked into? He looked into learning (1:16-18), laughter, ladies, luxuries, and liquor (2:1-3, 8, 10, 11), and labor (2:4-6, 18-20). IRONICALLY, DOUG STANHOPE HAS MADE ALL FIVE OF THESE BUTTS OF HIS NIHILISTIC JOKES!!! Schaeffer noted that Solomon took a look at the meaning of life on the basis of human life standing alone between birth and death “under the sun.” This phrase UNDER THE SUN appears over and over in Ecclesiastes. The Christian Scholar Ravi Zacharias noted, “The key to understanding the Book of Ecclesiastes is the term UNDER THE SUN — What that literally means is you lock God out of a closed system and you are left with only this world of Time plus Chance plus matter.” This puts him in the same place that DOUG STANHOPE finds himself. 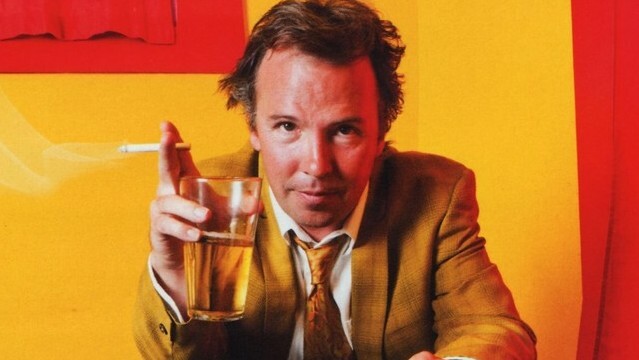 DOUG STANHOPE believes three things. FIRST, death is the end and SECOND, chance and time are the only guiding forces in this life. FINALLY, power reigns in this life and the scales are never balanced. In contrast, DAVE HOPE believes death is not the end and the Christian can face death and also confront the world knowing that it is not determined by chance and time alone and finally there is a judge who will balance the scales. Today I have demonstrated that atheists should agree with the comics Doug Stanhope and Woody Allen that nihilism should be embraced by atheists or they should consider the fact that God does exist and that will change everything!!!! A GOOD FIRST STEP:Like Solomon in Ecclesiastes the person on Twitter using the name “God Free World” embraces NIHILISM without God in the picture! How Richard Dawkins’ favorite book of the Bible (Ecclesiastes) and it’s message of Nihilism can be seen in the lives of Comedian Doug Stanhope, Dave Hope of Kansas and King Solomon!